Big, bigger, biggest. Vey is a dinner table that can fit your entire family – plus their friends and their friends’ friends, as its extension slides are can be installed in a heartbeat. 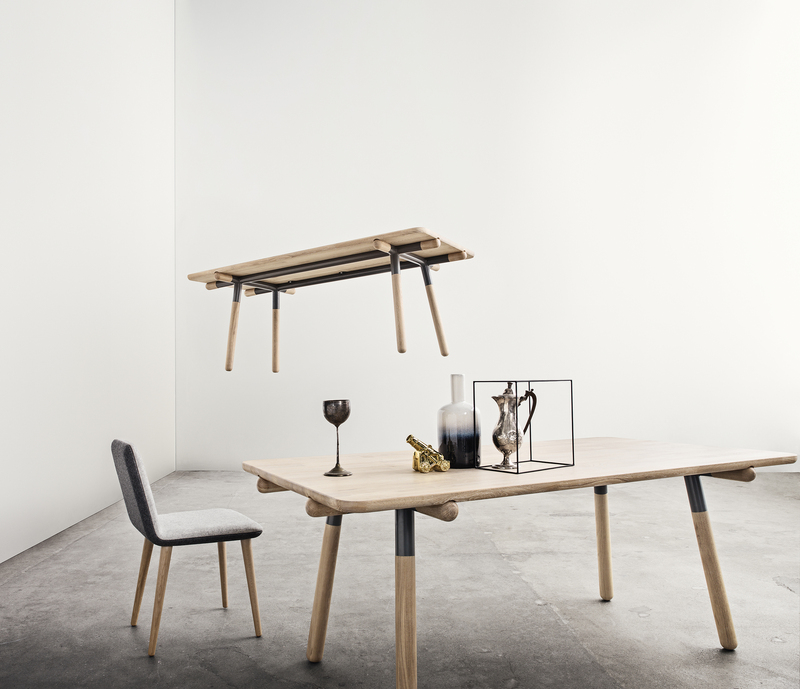 The solid top plays nicely with the steel frame, and the combination makes the table massive yet light. Just like the best dinners. Powder coated steel and solid oak. Comes in 3 length plus extension leaves.